A new exhibit at the Art Institute of Boston inspires curiosity and pays homage to the origins of collecting. A soccer game in Lowell brought many smiling faces together. Watch the audio slideshow here. Archaeology Day began in Boston three years ago, through the imagination of Ben Thomas, from the Archaeological Institute of America. It started small, as something in Boston. It developed into a collaborative project between 180 organizations and 16 countries. “We wanted an event that was a celebration of archaeology,” Thomas said. 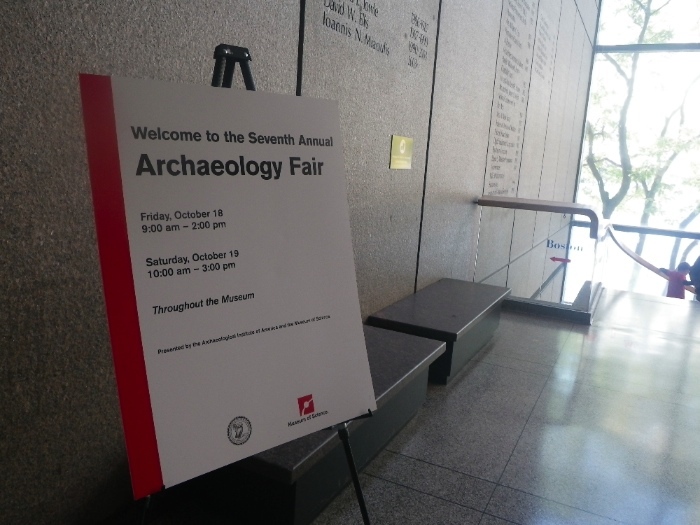 So the AIA created an event called the Archaeology Fair. It is hosted by the Museum of Science and is scheduled on Archaeology Day every year. 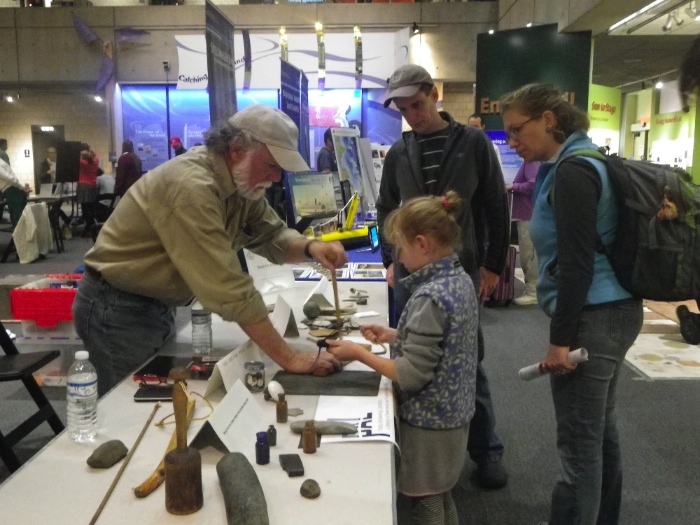 The Museum of Science and the AIA have been hosting an Archaeology Fair for seven years now. With the advent of Archaeology Day three years ago, the fair can now be scheduled on a regular day- October 19. The fair lasts for two days though, and began on October 18. Between the two days, 5,000 to 6,000 people visited the Archaeology Fair, said Meredith Langlitz, the Programs Director of the AIA. Today was the second day of the Archaeology Fair. The first day was school groups. Today, the AIA welcomed families to the fair. This weekend was intended mostly for kids. 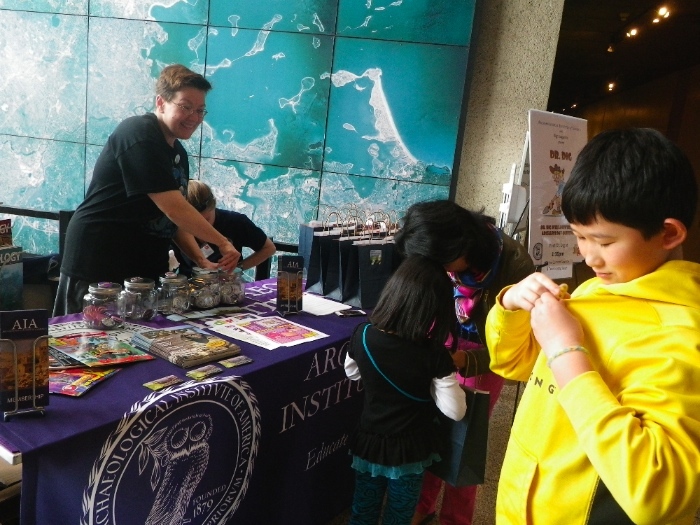 Members of the AIA handed out pins and gift-bags to incoming visitors. Alan Leveillee, from the Public Archaeology Laboratory, used a hands-on demonstration to get kids excited about archaeology. He showed kids how early Native Americans made fire.”With a little bit of science and a little but of imagination, you can become a time traveler,” he said. This is his sixth year presenting at the Archaeology Fair. He comes for the energy and excitement. “It is great to get kids interested and involved,” he said. Most of our past is behind glass in museums, but here kids can touch things, he said. Kids even had the opportunity to get their hands dirty. 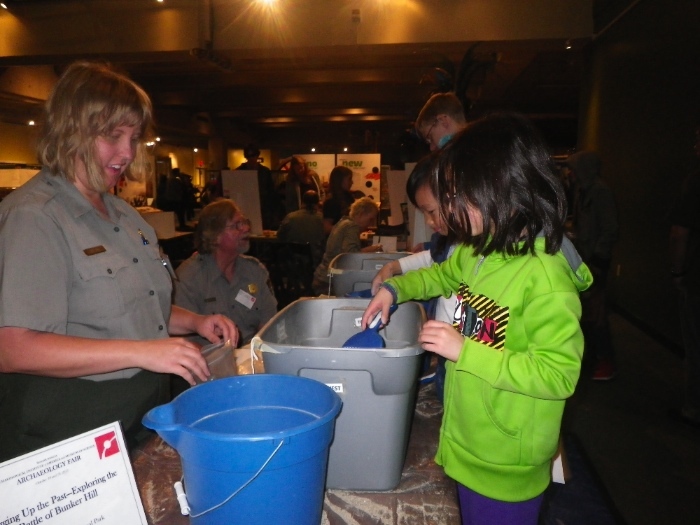 Members of the National Park Service tried to introduce kids to the science behind digging. Children were mostly enthralled just to throw dirt around. But getting excited about getting dirty is a big part of archaeology. Jon Voelkel showed kids the Maya math system. Voelkel and his wife, Pamela, wrote a serious of children’s books. The Jaguar Stones series introduce kids, mainly 9-12, to the Ancient Maya. 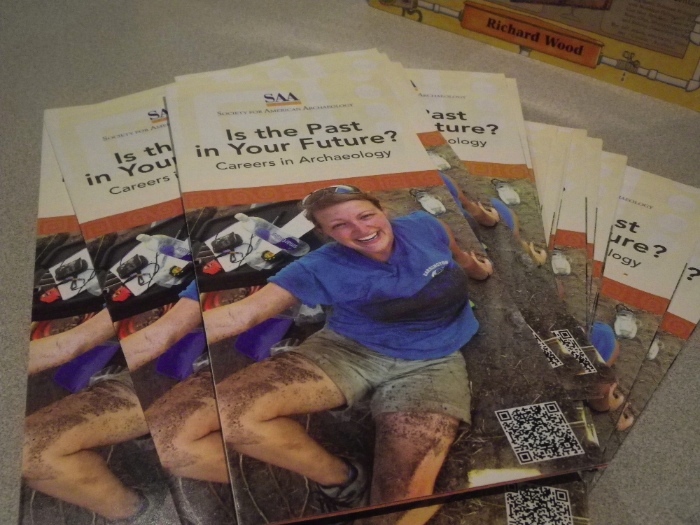 They work closely with archaeologists and teachers to raise kids’ interest in archaeology. Today they offered signed copies of their books to families. 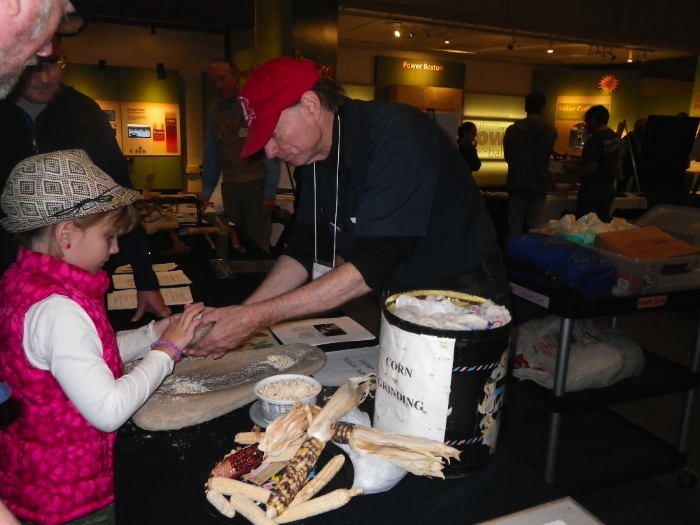 Kids learned how early Native Americans made flour at Alan Smith’s exhibit. Smith, an associate of the Robbins Museum and the Massachusetts Archaeological Society, has been doing archaeology for 30 years now. 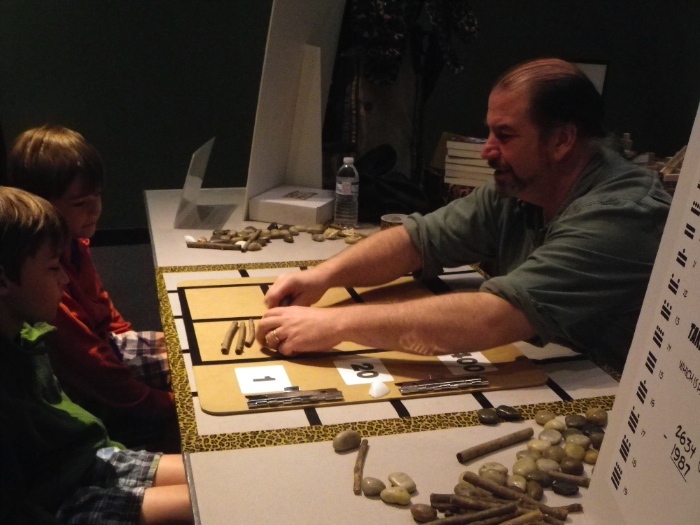 He focused on showing kids that archaeology isn’t just in some distant land– it can be right in your backyard. And he helped kids draw connections to their daily life. After showing them how to grind flour, he told the kids, “You can make granola out of this by adding nutmeg!” He keeps his exhibit hands-on so that the kids remember. Archaeology is a tough field, because it it cultural, he said, so it is the first thing to be cut in times of economic downturn. It’s important that the kids get excited about his, he said. Street construction seems like a normal part of urban life nowadays. Sometimes you get the idea in your head that ‘construction season is almost over’! But it never really ever seems to end. This morning, paving interrupted people’s commutes once again. 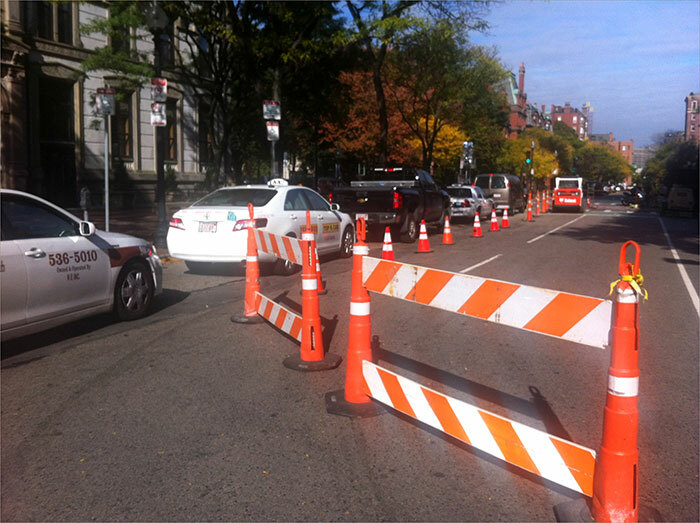 The infamous orange construction cones lined the corner of Dartmouth St. and Commonwealth Ave. this morning. Traffic funneled through with relative ease. Both bikers and drivers tried to navigate through the mess. Boston city officials were on the scene, but were not directing traffic. That task was up to the commuters themselves. Luckily, most cars kindly yielded to bikers. 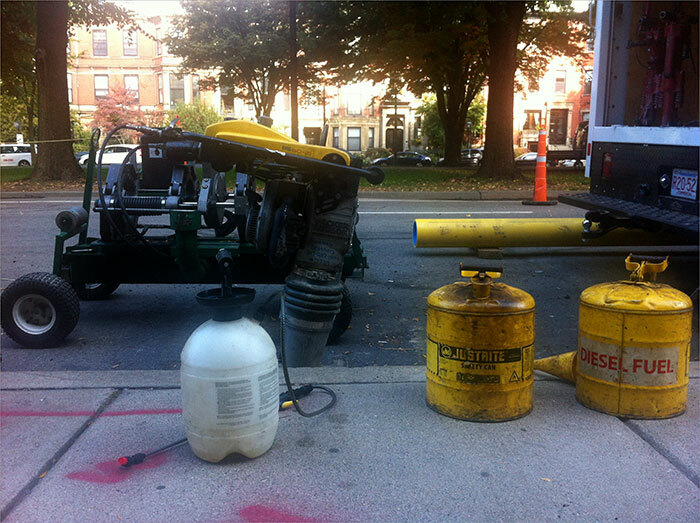 Chemicals littered the sidewalks, too. People passing by could smell the fumes from the street paving. The toxic smell was unmistakeable. 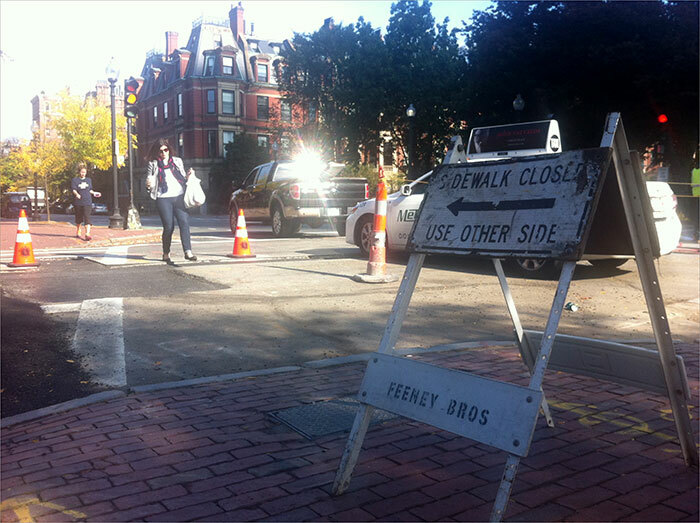 Sidewalks were closed on both Commonwealth Ave. and Dartmouth St. Pedestrians had to watch their step as they crossed the street. 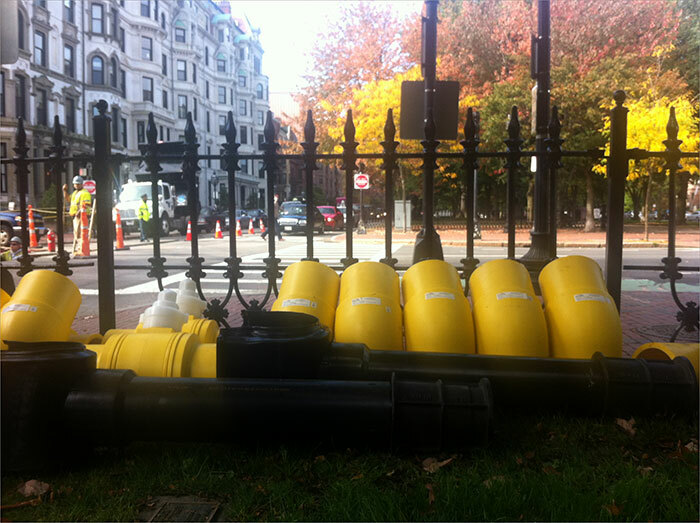 Construction equipment was even in the Boston Commons. 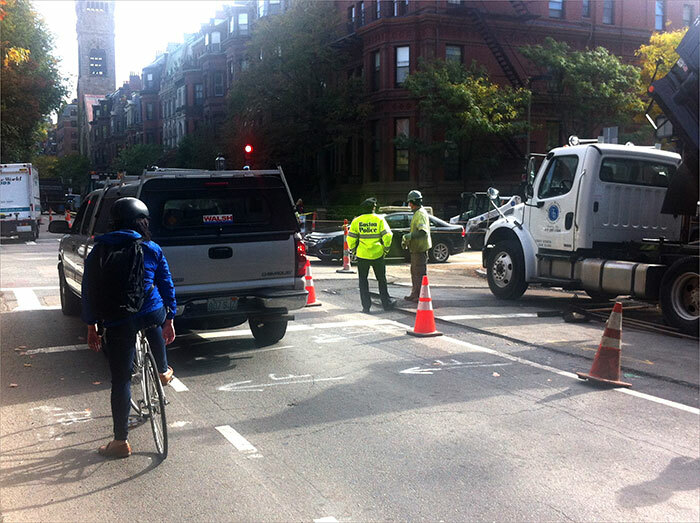 No commuter– biker, driver, or walker– could easily by-pass the street construction today.